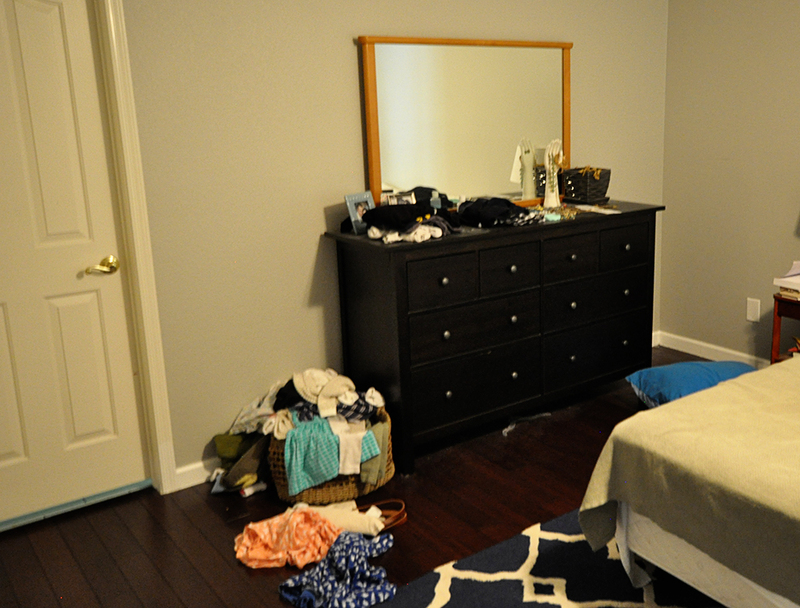 One Room Challenge: Master Bedroom Makeover, Week 1 - Real life, on purpose. 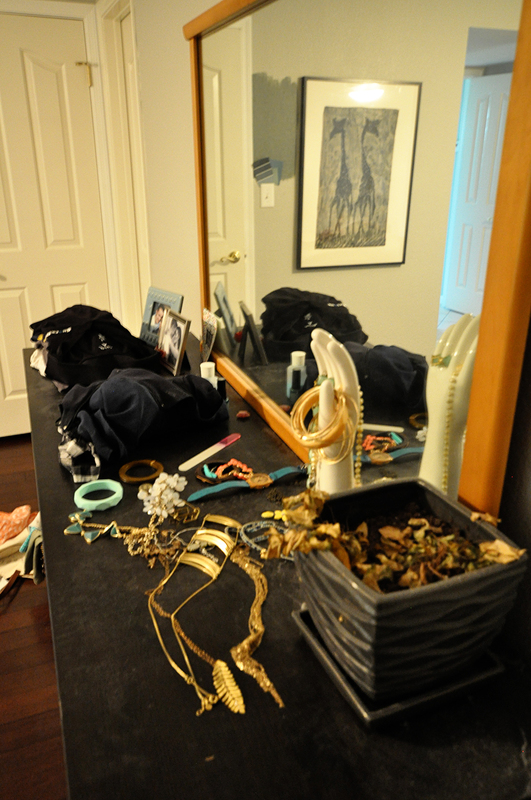 Have you heard of the One Room Challenge hosted by Linda of Calling It Home? I’ve checked in with it over the years but never followed it very closely, although I just love the idea. Every spring and fall, six different designers choose one room and redo it in six weeks. This year I’ve decided being a guest participant is just the kick in the pants I need to get my master bedroom done. Because seriously. We’ve lived in our house for almost four years now. This is long overdue. 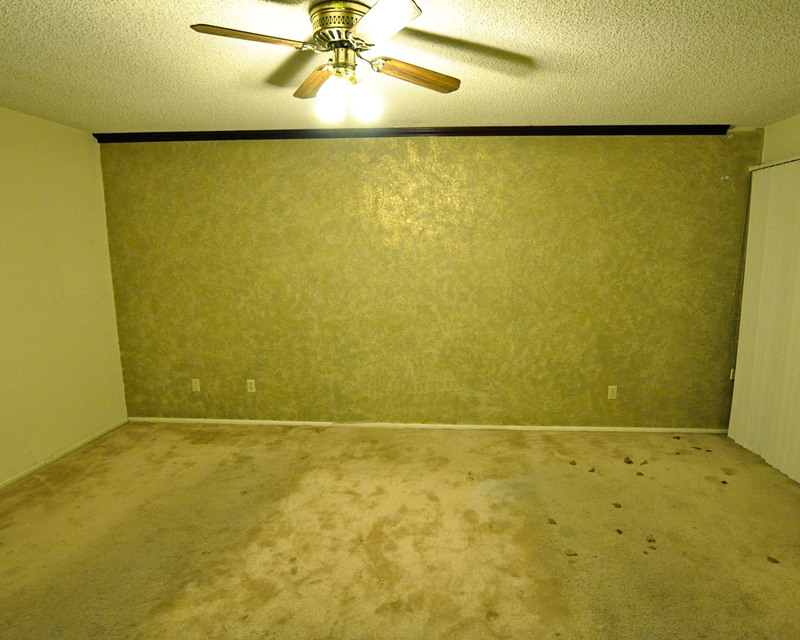 Today you get to see the before photos. Not the scary Swamp of Sadness pics from when we first bought the place, but the way we’ve been living with it since that first transformation. But let’s not forget just how terrible that room was. Perspective always helps. As much as I’ve been loathing the space, it could still be SO MUCH WORSE. 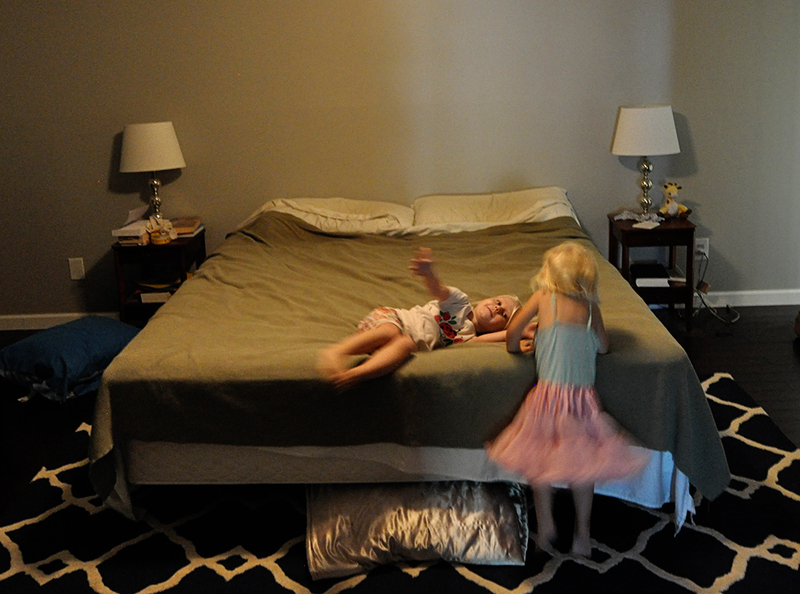 Still, our master bedroom shouldn’t depress me. And it still does. Well…it did. Technically I started working on it last summer because I needed a project to keep the crazy brain at bay. I didn’t get very far though (hence the need for some pants-kicking). Luckily for you, I had the foresight to take some truly terrible quality “before” shots. 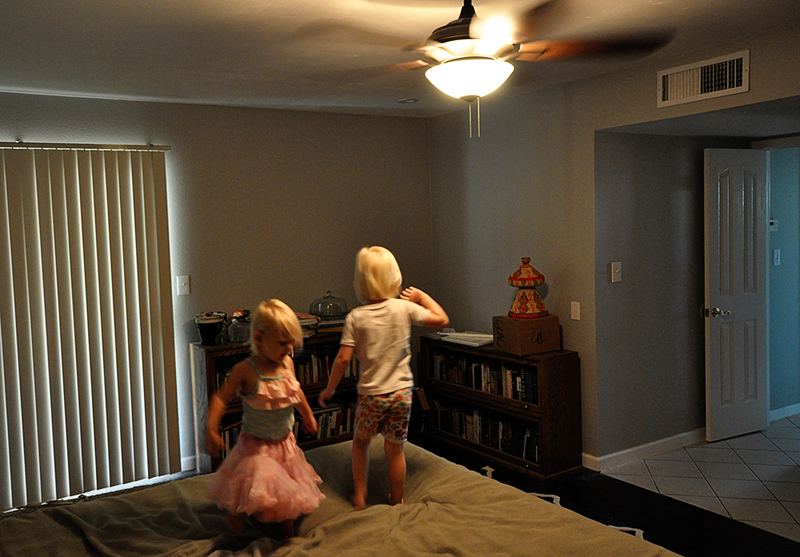 I loved that grey when we first put it on the walls; it’s perfectly neutral with no green or blue or pink undertones. But in a room with very little natural light, it’s sooooooo blah. It felt like a cave in there. A boring, dark, cluttered cave. I know this about myself: when I don’t like how a space looks when it’s clean and tidy, I don’t care to keep it clean and tidy. Ergo, mess everywhere. 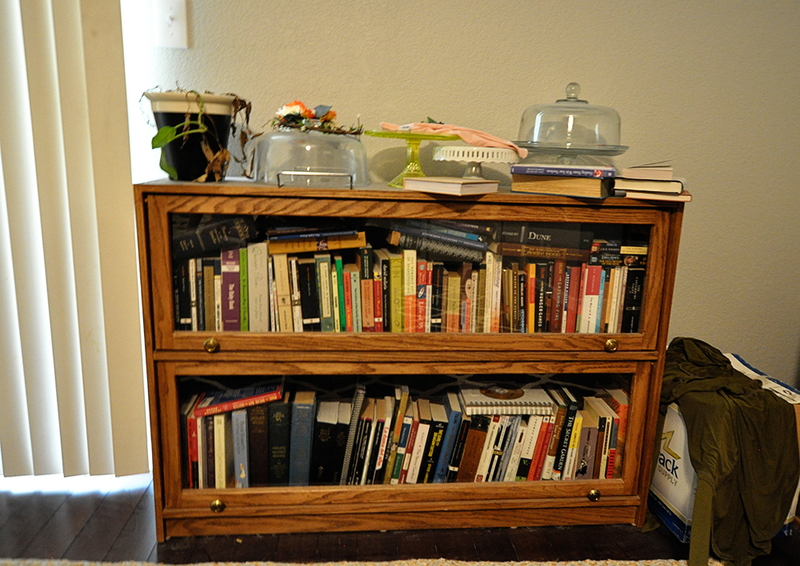 Those bookshelves were a wedding gift from my grandpa, who made them for me. They’re beautiful, but they don’t really work with our decor. Anyone else struggle with balancing aesthetic taste and sentimentality? Also: remember how I literally just talked about creating space? Yeah…my books desperately need more space. David and I have never in our 8 1/2 years of marriage had a real bed. 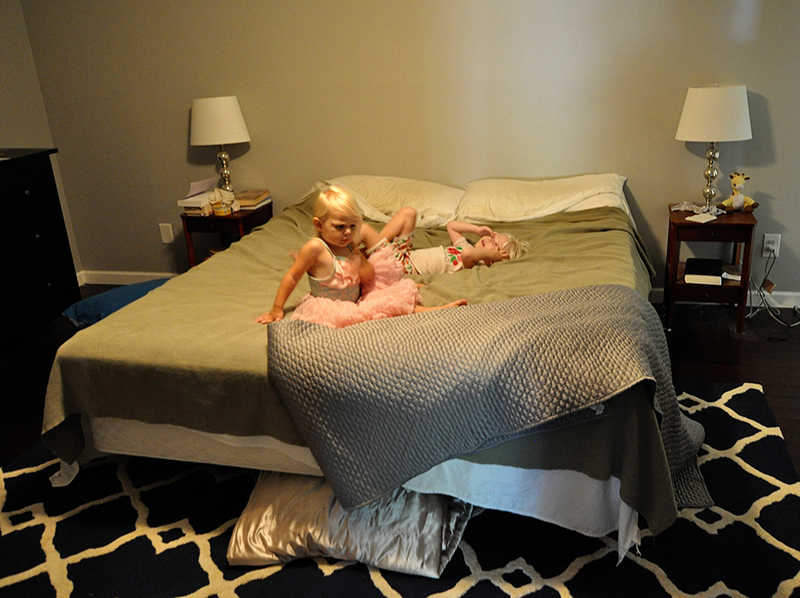 I mean, we’ve got our California King sleep number bed, which is basically a third party in our marriage because we LOVE it so very much, but it’s just sitting on the metal frame and box it came with. 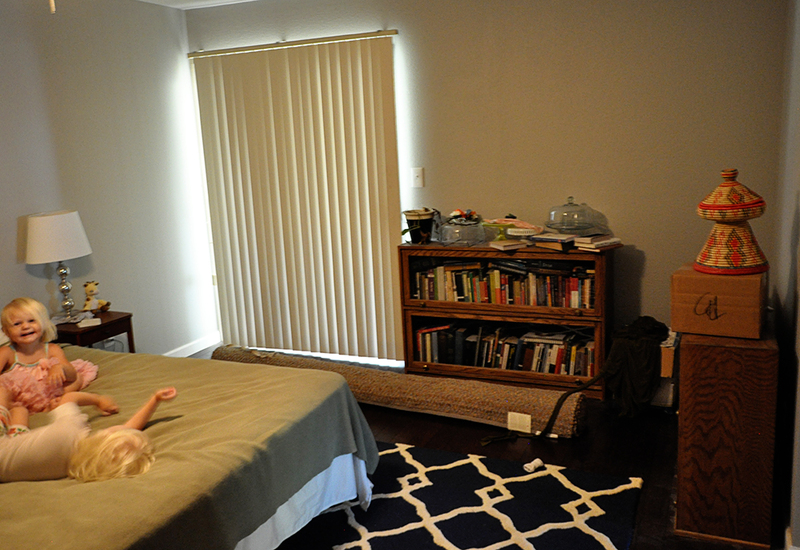 No headboard, no bed frame, no nothing. I’ll be updating you on my progress over the next five Thursdays. I am both really excited to make this happen and really nervous that by sharing my plans I’m setting myself up for some delightful setback. Although we’re already dealing with coughs and pink eye and not enough sleep, so…bring it. Life is gonna happen no matter what. At least soon I can deal with it from a pretty master bedroom, right? Head over to Calling It Home to see what the featured designers and other guest participants have planned for their room makeovers! 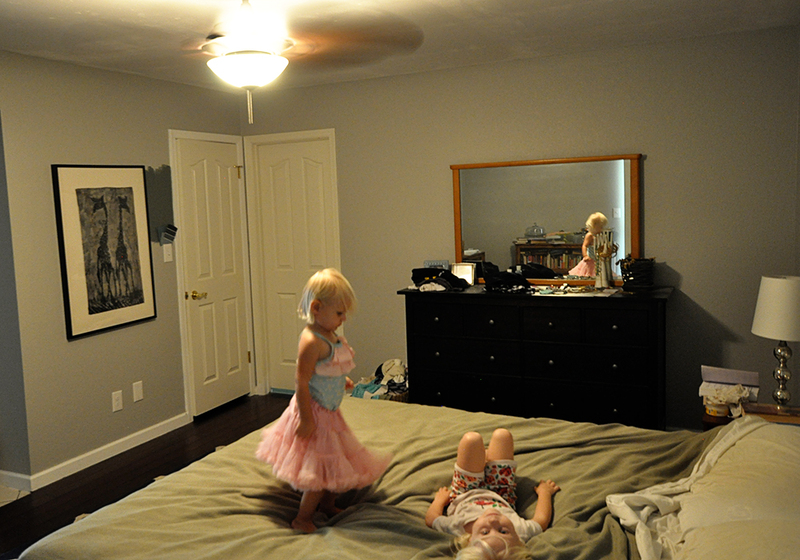 WOAH on the swamp-monster bedroom, that is…truly frightening. I can’t wait to see your improvements! I’m about 75% done with our master bedroom and it’s so so tempting to just be “done enough” and call it a day. BUT! It’s so close!!! Maybe giving myself an deadline for the last 2 or 3 projects is what I need to do…yep, probably need to do that…see how I’m procrastinating making that actual deadline? …yep…definitely putting off the commitment in a very long, rambly, stream-of-consciousness comment here on your lovely blog….. Oooh!! I can’t wait to see the after! Go Jen go!! Ooooh I like this idea! Can’t wait to see! Your home improvement posts are some of my favorites. I’m glad to hear it because I’ve got a bunch coming up…at least that’s the plan. Here’s hoping I can make it happen!